Get Noticed…Go Wide…Wide Format That Is! In May we announced that we now offer wide format color printing when we acquired the Ricoh Pro L4160. 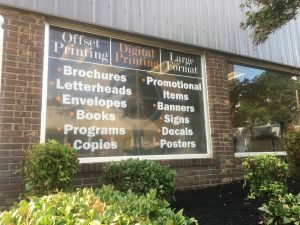 And since then we have had numerous requests for more detail on what we can do for our customers now that we provide wide-format digital printing services. 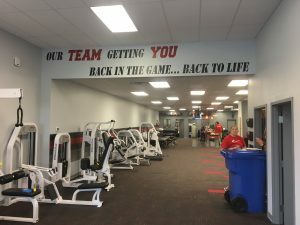 For starters, Acme Printing can print just about anything up to 63” wide, and as long as the roll of any medium you need us to print on…up to 160 feet! You get vibrant full color, and we can even print white on clear vinyl with multiple transparency levels. This wide range of capabilities enables us to answer to a variety of printing projects you may have. 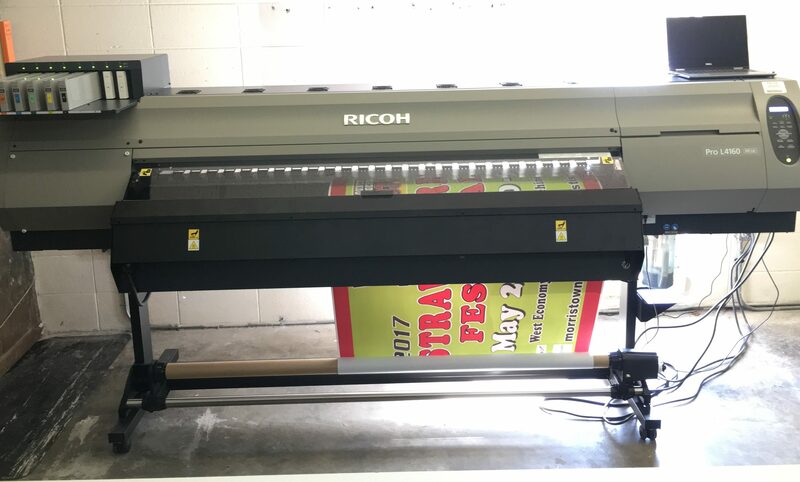 After acquiring our new wide-format digital printing machine, Acme can print just about anything for your East Tennessee business, from banners, tear drop flags, pole banners, yard signs, labels, decals, and posters. Are you a retailer that needs an attention getting window display? 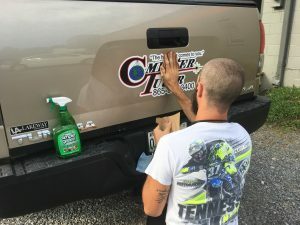 Our ability to print white on clear vinyl gives you a leg up on the competition and don’t worry your retail window display has two-way visibility. Are you attending an upcoming trade show? Our Acme team can produce pull-up banners to make you stand out among competitors with the best promotional signage. One of the most popular activities for exhibitors to do at tradeshows is promote their social media with huge selfie boards for attendees and once again Acme Printing is there to help! Acme’s wide-format printing services are not only for commercial purposes! We can also enlarge superior quality photos and posters. Photo enlargements are great for weddings, graduations, or any special event so that you can have sizable and high-quality photos for your home. Think of the memories! If you think that Acme can assist you with your next wide-format commercial or individual project please click HERE to speak with our expert Acme Printing staff or call 855-581-8528!